A Frankenlight is, like the famous monster, made of disparate parts. I never create or sell Frankenlights. But they are common. Few buyers will even realize that they have purchased a Frankenlight. And few sellers indicate as such. 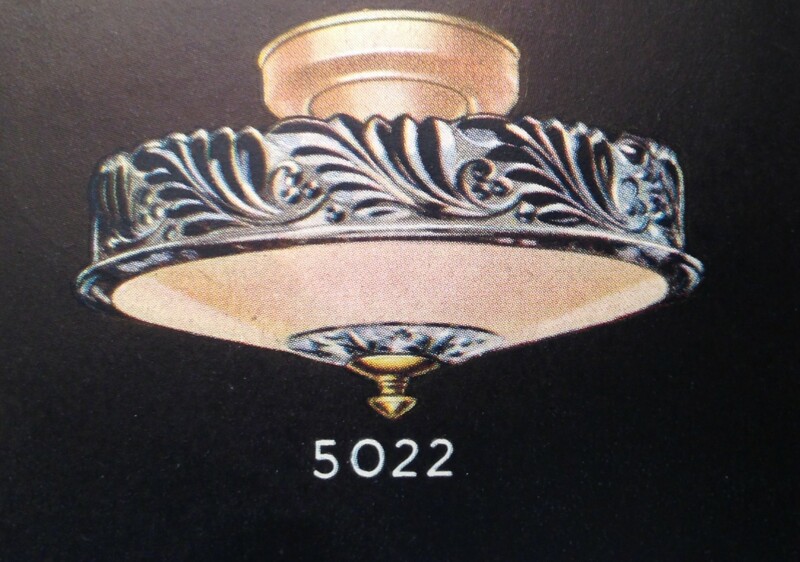 This is a lovely 1940s fixture by Virden. 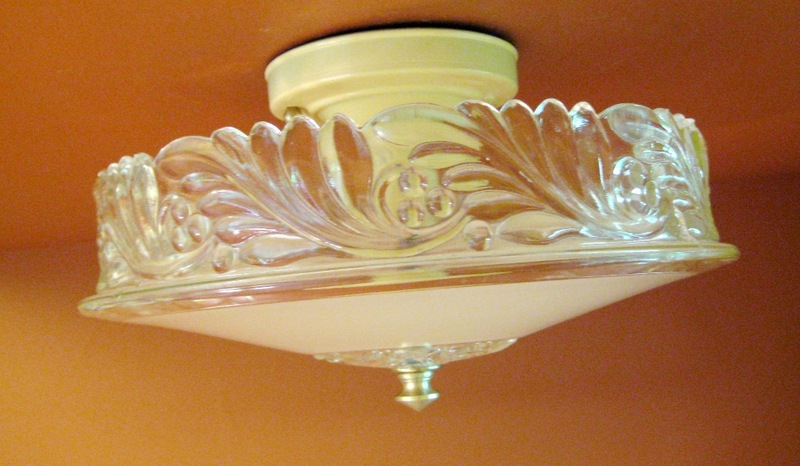 It is not large (the shade is but 12-inches wide) and was intended for smaller bedrooms and foyers. The shade, while petite, is pretty spectacular. Now, are you doors locked? Are you sitting down? For, if you scroll way down, a horror awaits!!!!!!!! A MONSTER! An — eek! — Frankenlight!!!!!!!! Most of the parts are new. None of the parts are original to the shade. 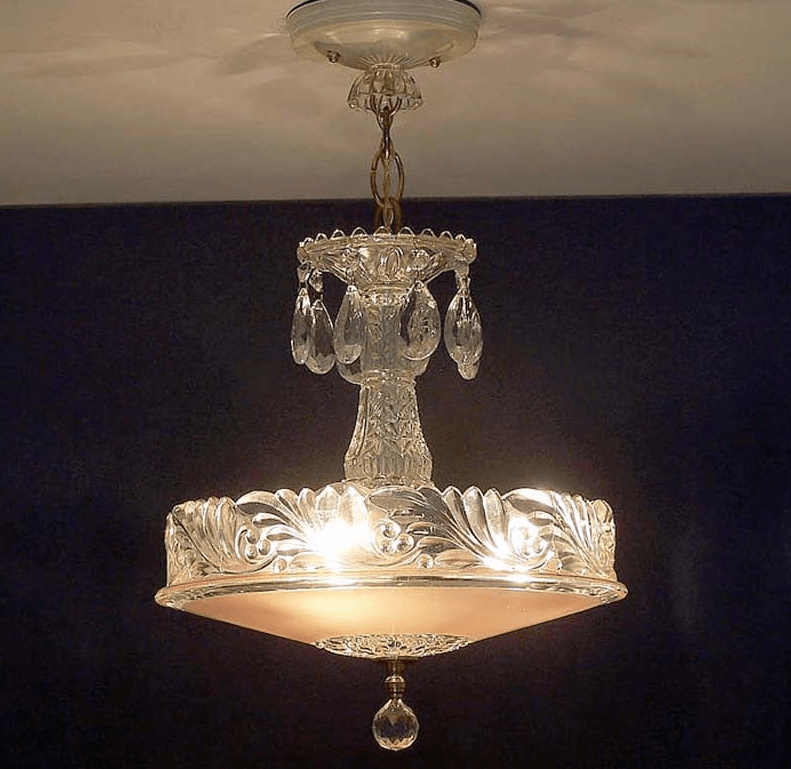 While the fixture is attractive, a buyer will assume they are buying a vintage fixture, and the seller states that the fixture is antique. Caveat emptor! One Response to A Frankenlight! EEEEEEEEK! i like the original. How big is it?